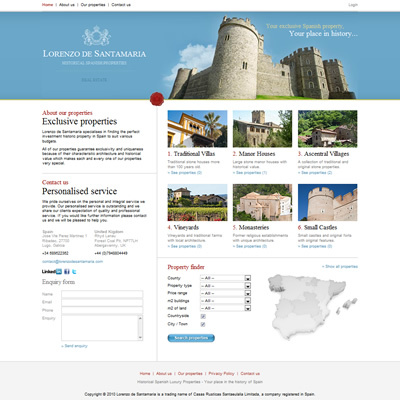 Web of Ideas built this website for the Spanish company Casas Rusticas Santaeulalia Limitada. 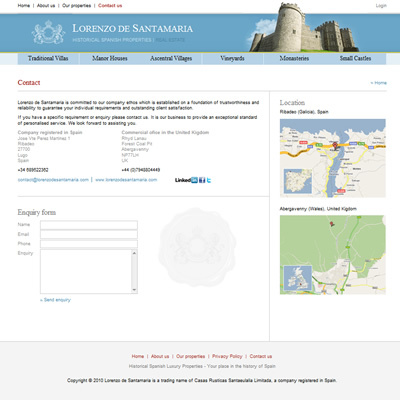 The website sells luxury properties in Spain, including manor houses, monasteries and castles. The site is content managed with an administration section to add and update properties. There is a sophisticated search function to allow customers to quickly locate properties that meet their criteria. 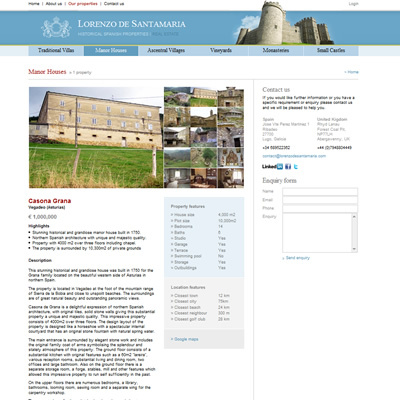 Search engine optimisation (SEO) was especially important on this website, and all properties have a unique, meaningful URL, which can be set in the admin section. Other SEO data is also configurable per-property.